Having been inspired by some of the eCommerce legends, almost every online retailer gets the desire to follow the huge success and achieve the incredible profit. Attracting new customers is not a marketing strategy anymore; it’s actually a way of life of web store owners and their entire sales teams. With business growth and extension, online merchants often start feeling the limits of the popular eCommerce auction platforms. In order to get rid of any limitations whatsoever, one can create their own online auction website. Online auction business occupies a special niche in the eCommerce industry. Due to various reasons like a physical presence, space, and time, traditional auctions are almost left behind in previous centuries. The Internet has upgraded traditional auctions and made the online ones very popular among users all over the world. Let’s go back in time: in 2002, 30% of all of the eCommerce transactions were performed by online auctions users. A market research that was conducted in spring of 2017 showed that the overall profit of online auctions reached $394 b. Comparison of this result to previous years’ analytics demonstrated that web auctions business tends to grow by 13% annually. Among dozens of incredibly useful eCommerce platforms, services, and auction websites there is a number of websites that achieved the most amazing results. Let’s take a look at them. eBay is one of the very first names that comes to mind when talking about some of the absolute leaders in eCommerce. Just try to imagine: over 1 billion items are listed on the pages of eBay! You can say it means nothing and the point is to buy and sell. So here is another significant fact: more than 167 million of active users contribute to eBay business development. C2C and B2B sales models are facilitated on eBay. The level of popularity and strong positions on the market since 1995 prove that this multinational corporation knows its business and keeps doing it right. For 22 years, eBay has been expanding its borders and now includes many services starting from original sales and auctions to “Buy It Now” shopping service, shopping by SKU number, web advertisement, trading of event tickets, and even online money transfers. Even though eBay is a really convenient and profitable tool for online merchants, some of eBay sellers have the aim to expand their business beyond and leave eBay. The reasons can vary: some feel strong enough to continue their path without the eBay, others are simply tired of this web service, or just want to explore something new. Also, sometimes, eBay’s huge fees make online merchants give up using the website. The numerous eBay competitors on eCommerce market allow merchants to make a choice. We formulated this list of top 5 eBay competitors for your better understanding of the topic. The names included on this list may differ in their purposes and business goals, but all serve online sales/auction market. Nowadays, Amazon is the strongest eBay rival. Even though it is not the same service as eBay by nature, they are usually compared. The main difference is that Amazon platform is great for merchants that sell new, authentic products and have no business with auctions and second hand. eBid was included in the Top 9 Sellers Choice in 2017. Considering the fact that this platform is not so big, the profitability is surprising. Selling on eBid takes more time than selling on eBay. Here, the merchants are ready to accept the fact that successful sales may take time. 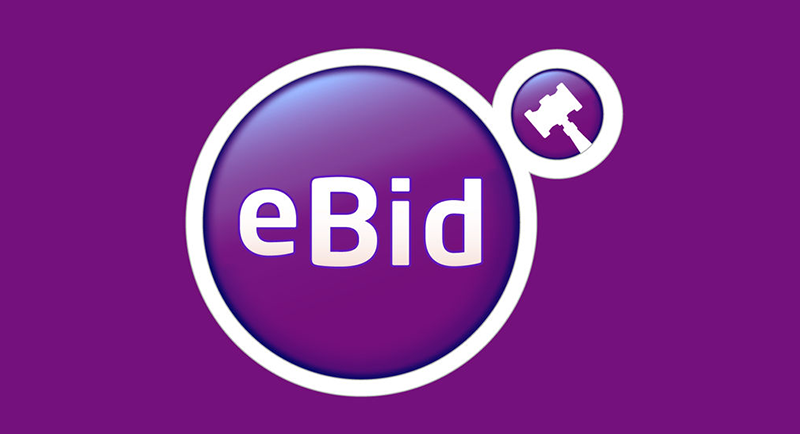 eBid follows the auction style and is quite similar to eBay because of that. Etsy is another popular selling platform in the eCommerce world. Unlike the general purpose of eBay, Etsy’s main specialization is selling vintage goods and handmade products. The platform’s founders started their business in 2005 in a small apartment in New York. Now, they enjoy the profitable interaction with more than 1.4 million active sellers. Etsy is an owner of Sellers’ Choice award for accessibility. Selling luxury products is Auction King’s main feature. Here, the interested customer can easily find designer accessories like bags, watches, jewelry, etc. It has a narrower user base in comparison to eBay, but still shows a high level of seller profit. Listia has its own unique model of operations. The commerce process is organized in a special way where the user buys credit for bidding. This makes goods technically “free” because one has to pay for them with credits. Credits can be also earned by inviting friends to Listia or providing your own products for the auction. The particular attention needs to be paid to the question of online auction business model. There are a few types of business models which differ in pricing rules and target audience definition. The product has a bid and a fixed price. It is sold when the best price is offered. The bid starts from the base auction price. The product is sold to the highest bidder. The buyer uses the special software applications for bidding. With the information about the maximum price, it bids on one’s behalf. Let’s take a look at the considerable features of the auction website. Payment Gateway is necessary for payment processing. You would need to use a Community Builder to arrange your user connections on the website. This tool is mainly responsible for communication. A clear and extensive image gallery is your little key to success. The more beautiful the pictures on your auction website are the more attention it would attract. Be ready for marketing challenges. After your website is finished in the technical aspect, the significant need in effective marketing campaign would appear. Special software tools for automated emails or advertisement would be of great help. Last but not least, people buying products from your eBay store will never ever mention you. The purchase can be described like “I’ve bought it on eBay”, not like “I’ve bought it at put_your_shop’s_name_here”. The founders of the eCommerce platforms are primarily focused on the development of their business. And the improvement of your sales remains your own task. These disadvantages are core reasons to make your own auction website. Selling goods through your own website is also a considerable factor when creating a plan for profit increase. Developing it may be hard, but once you are up and running, your only limit is you (and your development team, of course). Customization of the website, types of products, your business features would be completely in your hands. Small-scale or large-scale auctions – path in the direction of any solution would belong to you. No external control, no limits. Here we come to the main line of the article: how to build an online auction website for your business? We are here to answer this question and help solve the related problems in future. The first step to achieving the great result is to understand pros and cons of software tools for auction website development; and, of course, the choice of the best one. The variety of software languages, frameworks, and tools for web development is quite extensive. Web solutions are the point of interest of many people worldwide nowadays. But when it comes to the development of an online auction website, what exactly to choose? Sounds good, doesn’t it? But things look not so well when diving deeper into the question of WordPress profitability for auction-model websites. 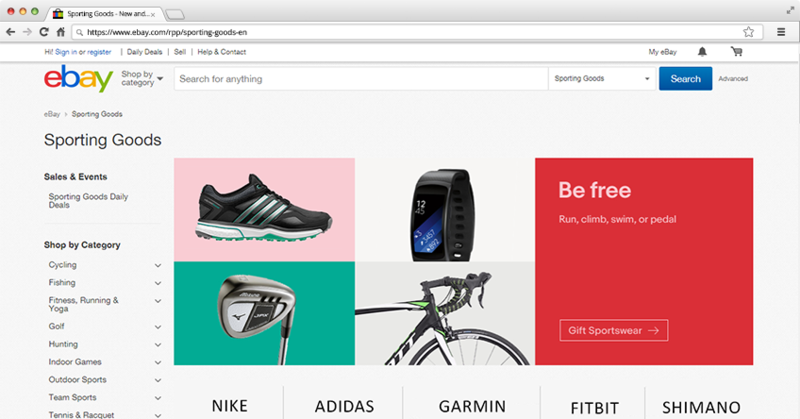 There is an opinion that CMS is a really bad solution to create website like eBay. Another considerable fact is that the development of software technologies brings us advanced solutions every day. CMS were popular a few years ago, now they look like the old lady at a students’ party. Thinking of the breathtaking modern website that would just blow up your competitors’ mind accept the fact that WordPress is not good and powerful enough for that. So, what is next? What programming tools are above the WordPress CMS in level? Ruby is an object-oriented programming language. Running on Rails, it is able to implement the web solution of the highest difficulty. Ruby was created almost 25 years ago. All these years of practice made the language intelligent and easy to use. With understandable syntax and wide capabilities, it became one of the best tools for web software development. Ruby/Rails is an open source development tool that is able to make any idea come true. It would be a great experience to create a bidding website on Ruby. Server-side development got better when this amazing language appeared, and for now, Ruby is a choice of thousands of software experts. It can be easily embedded into HTML. Language’s good scalability makes the Ruby solutions easily maintainable. It can be simply connected to lots and lots of databases, installed in different environments, and used for scripting. Built-in functions of Ruby on Rails make it possible to implement any idea and improve the business. Would you like to take a look at web solution developed in Ruby? 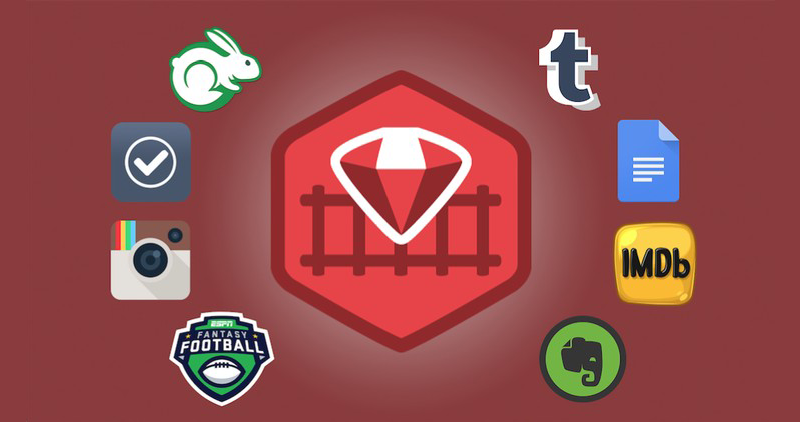 Visit GitHub, SlideShare, or BaseCamp to see the prominent results of Ruby/Rails development. The other great option which would help to create an online auction is Python/Django. Python provides great capabilities for the web development, as well as for Machine Learning and Data Science. Python’s code is readable and simple. Unlike Java and C++, it is elegant and understandable. Python provides the software specialists with extensive documentation and powerful support of a nice community. The original aim of creating the Python programming language was not related to the web development. But Django platform based on Python made it possible to build websites of any complexity using these tools. Python is an interpreted language. Debugging of the code is sheer poetry, which is additionally cool for your future website. Python comes right out of the box. Modules and libraries are built-in from the very beginning, so the programmer does not have to spend excessive time. Tools for protocols and reliable support present yet another feature. The processes of connecting to databases, testing, or parsing are smooth and fast. Numerous amazing popular web solutions were developed in Python/Django. Dropbox, Instagram, Spotify, Quora, and many other websites with millions of visitors were created by Python enthusiasts. Why not create auction website on it? “Even if I know what software tools are the best fits for me, how would it help?” Well, the main point in starting the process is to hire a team of professionals to cooperate with. Who would do that for you? The development company is a more reliable, trustable, and suitable partner in the auction website development. Even though you spend more when hiring a whole team of professionals, it is worth it. The company is able to cater to your needs, create and support your solution, deal with all the troubles and work for your success. And guys from the development agency know for sure how to create an auction website. It is crucially important to find and choose a really good service provider. Analysis of these 4 aspects would help you understand if the development company would be able to fulfill your tasks and create the best web solution for you. Before getting involved in cooperation, evaluate the management and development specialists’ competence. Both back-end and front-end are crucial when answering a question about how to build an auction website. As it was mentioned above, Ruby on Rails and Python/Django are tools for service-side development. Back-end includes all of the processes that remain invisible to the user. 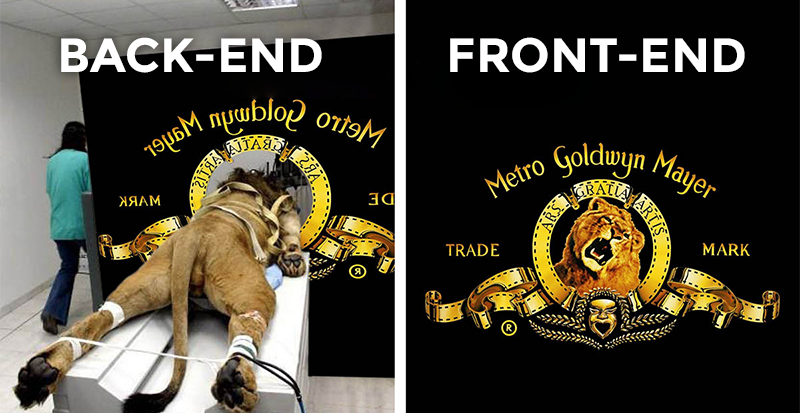 The whole website functionality is built by back-end developers. The opinion about the negligibility of IT project management and product quality assurance is completely mistakable. Not a single successful high-quality product can be produced without proper management and careful QA. The project manager is a soul of the team. The special role in a team belongs to quality assurance processes. Quality of your auction website depends not only on developers’ skills but also on checking if they did everything right. Quality Assurance engineers make sure that all that was developed looks and works properly. A QA engineer is an insider that reviews the website from the customer’s point of view in the process of creating a website like eBay. Effective cooperation of skilled back-end and front-end developers under the control of a responsible project manager with attentive to details QA team is all you need for successful auction website development. To sum everything up – you need a strong team of Ruby/Python developers, project managers, and quality engineers to get your website done quickly. We are happy to introduce such a company to you: Sloboda Studio would create an auction website (like eBay or better) for you! We provide services in back-end/front-end development the quality of which would surprise you (in a good way, of course). Our project managers are able to set up the processes in the unbelievably pleasant and suitable way – for both our clients and the development team. QA engineers show expertise in manual and automatic QA, so your end product would be just pure perfection. The point is, we are interested in your success; this is why we keep on developing the best customer-oriented approach and offering you our extensive skills. Your website is our pride, and we put a small piece of heart and soul into each project. First of all, we know how to build an auction website and improve your business with it. We love creating new solutions and facing new challenges. Your great idea and our solid experience in web development would turn into a profitable service. Terms of the development depend on your requirements and wishes. After discussing all of the details, we are ready to start AND finish your project as soon as possible. We are ready to create a one-of-a-kind auction website for you that would make customers come over and over again. One-click registration, convenient personal web cabinet, and lovely interface developed by us would do their job. As the eCommerce platforms limit the development of your business, your own website would be a perfect solution for implementation of your wildest ideas. How to build an auction website? Hiring the outsource software development company with expertise in Ruby/Rails or Python/Django would be the best way to answer this question. And we, Sloboda Studio, are always here to help you succeed.